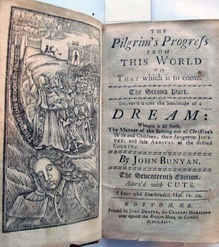 John Bunyan (1628-1688). The Pilgrim’s Progress from This World to That which is to Come. The Second Part. 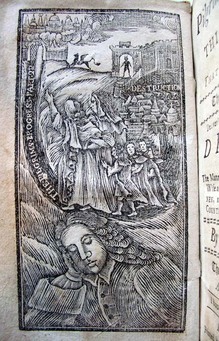 Deliver’d under the Similitude of a DREAM: Wherein is Set Forth, The manner of the setting out of his Christian wife and children, His Dangerous Journey; And safe Arrival at the Desired Country. The Seventeenth Edition. Boston: Printed by John Draper for Charles Harrison, 1744. Gift of Sinclair Hamilton. Hamilton 20. 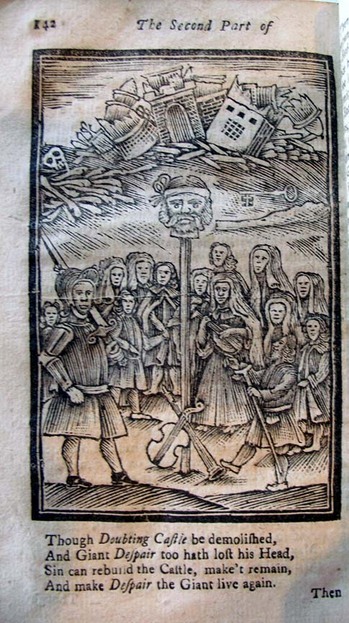 This is the first American edition of the Second Part of The Pilgrim’s Progress, originally published in London in 1684. 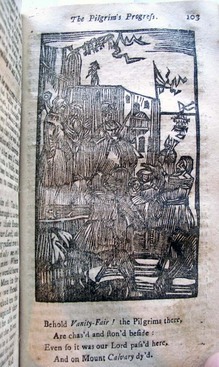 The Boston edition is illustrated with four woodcuts, one of which was also used in the First Part published four yeas earlier in Boston by G. Rogers and D. Fowle. Before I was aware, I this begun.